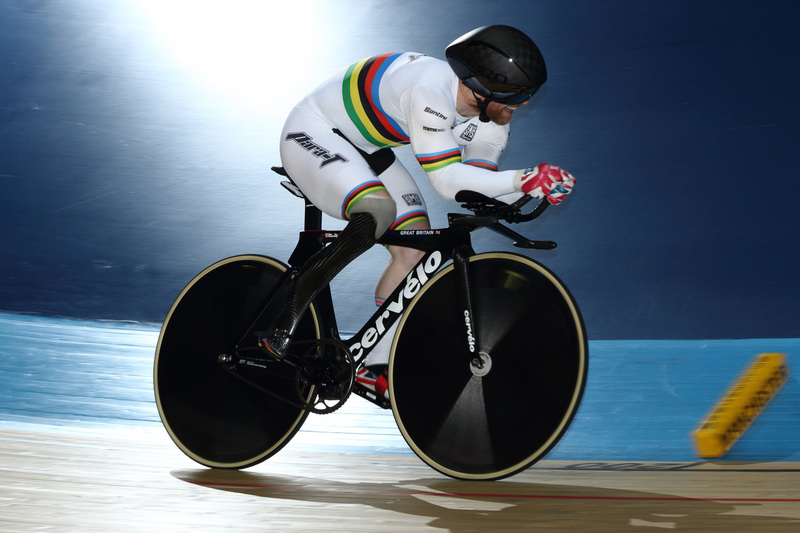 Champions are born & champions return. 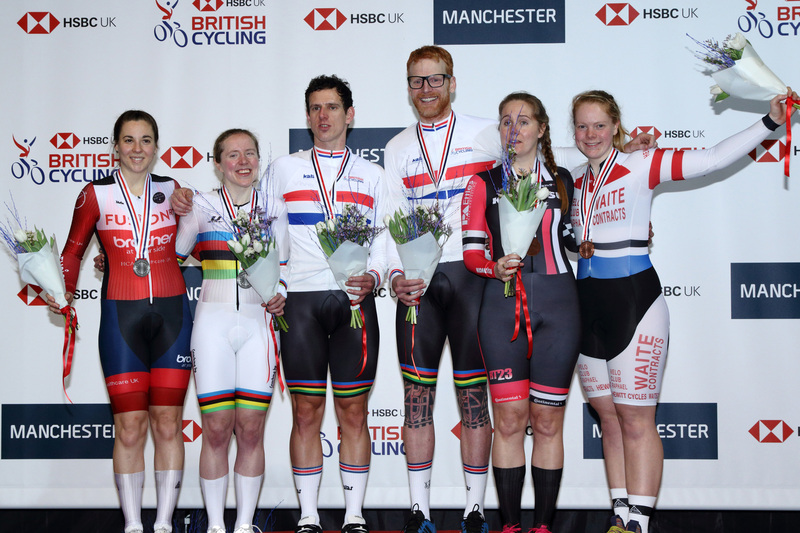 The HSBC-UK National Track Championships 2019 in Manchester are where memories are made. 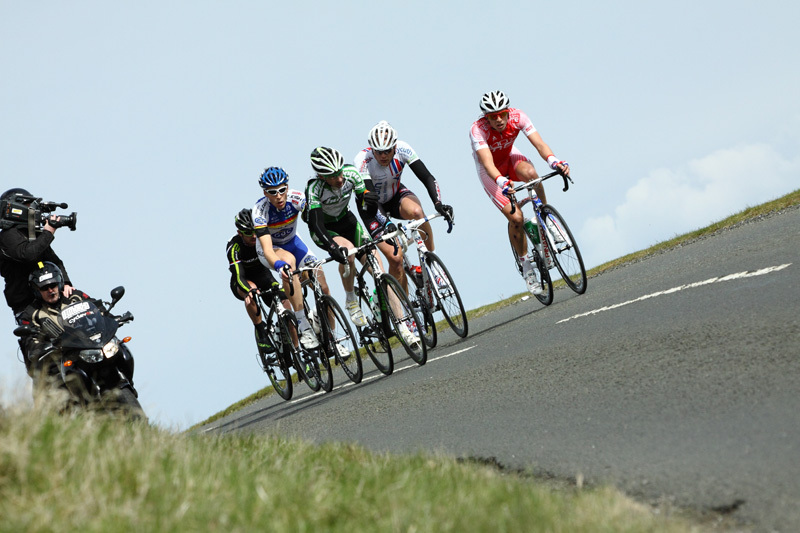 22 Champions to be crowned over the 3 day event & day 1 will see 8 new champions. 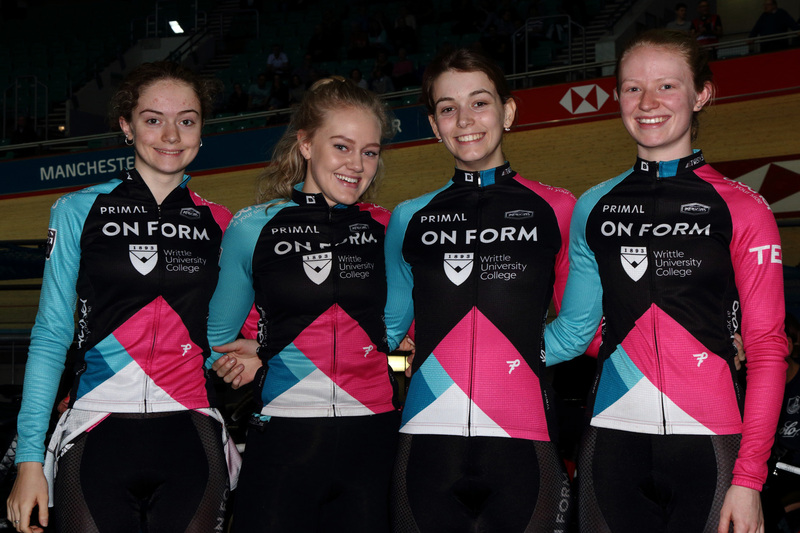 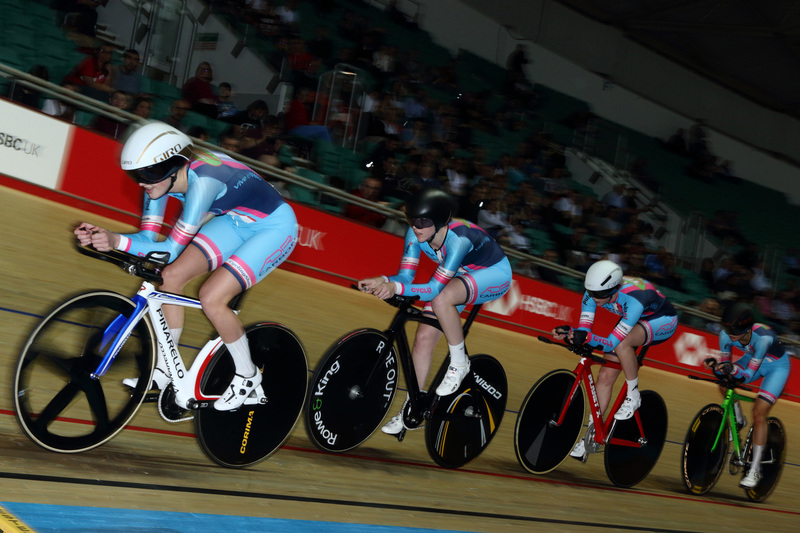 Getting proceeding underway with the Women’s Sprint qualifying, Sophie Capewell – Team Terminator posted the quickest time with a 11.106 ahead of a hectic sheduele for 2nd quickest Katie Archibald & Jess Crampton. 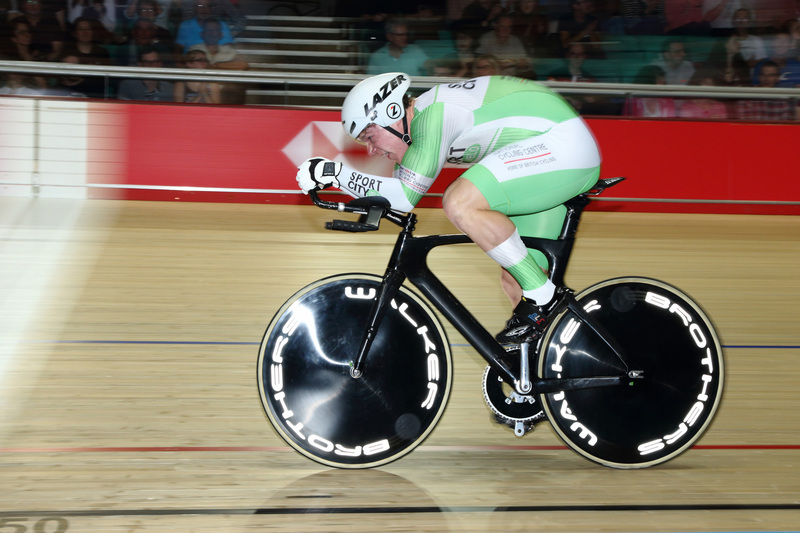 The first of a number of records set during the championships came from John Archibald in the Individual Pursuit qualifying with a new sea level World Record of 4.09.584, recently set late last year by Archibald. 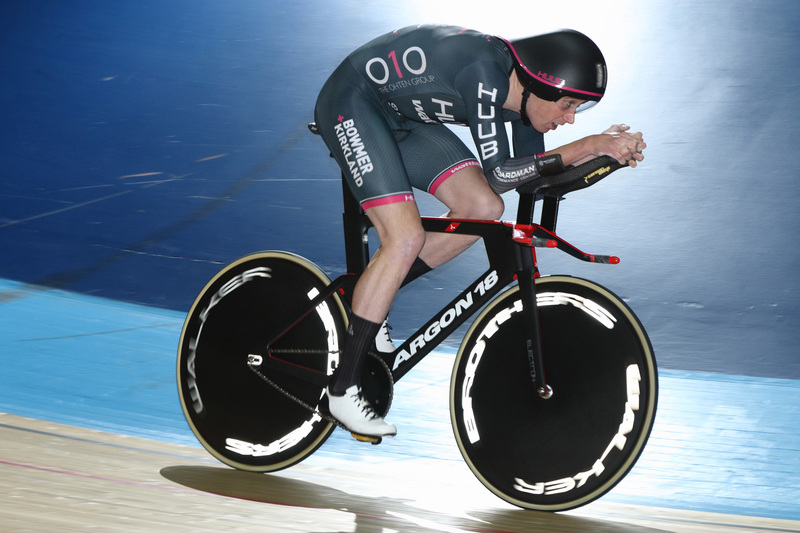 Team-mate Dan Bigham (HUUB-Wattbike Test Team) qualified 2nd quickest for the gold play-off while Jon Wale, also HUUB Wattbike qualified 3rd to Kyle Gordon – RT23 for the bronze playoff. 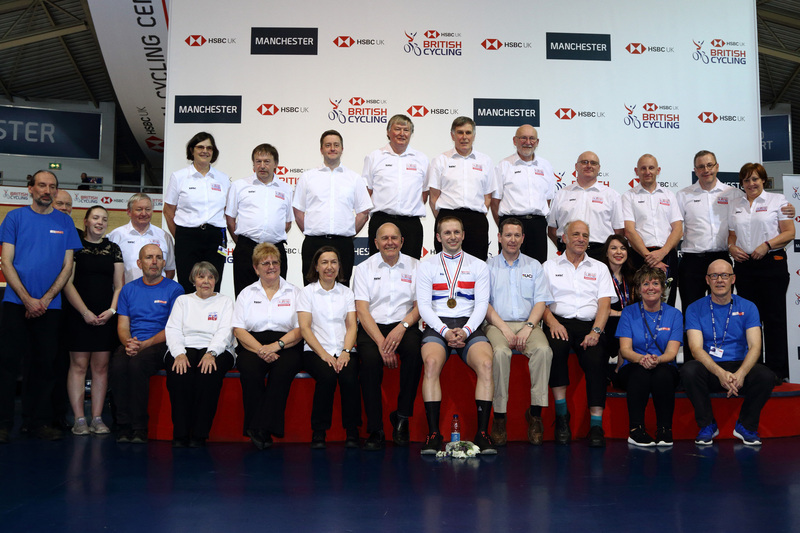 Last years Team Sprint winners North West qualified quickest with a 43.508 for Jack Carlin, Jason Kenny MBE & Ryan Owens before taking gold in the finals minus Kenny with Philip Hindes MBE taking to glory ahead of Slingshot silver & Black Line bronze. 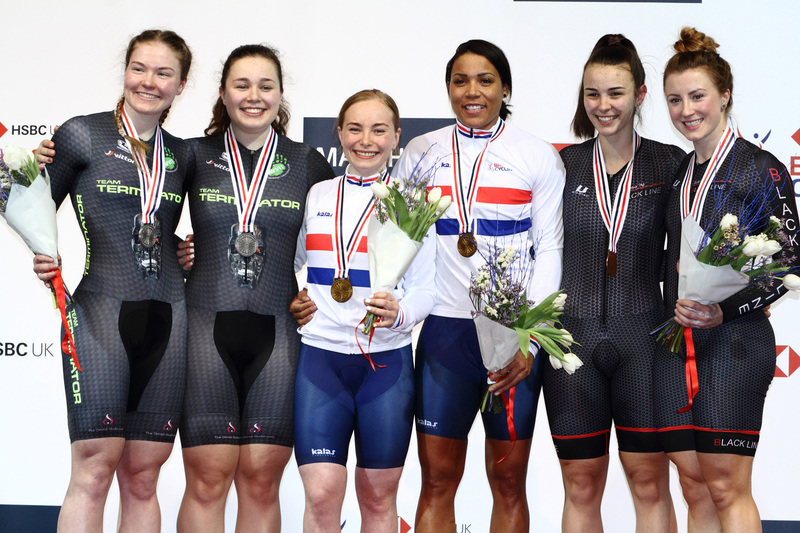 The first medal of the 2019 championships went to Kadeena Cox with a factored time of 1.03.348 in the mixed Para 500/1000m Time Trial. 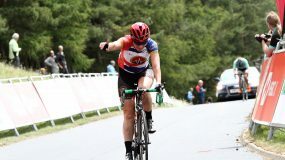 World Champions Sophie Thornhill & pilot Helen Scott were the first to retain their national titles in the mixed BVI Para Time Trial ahead of World Champions Neil Fachie MBE & Matt Rotherham by a ¾ second once factored in but the duo set another World Record to boot for their effort with a 59.278. 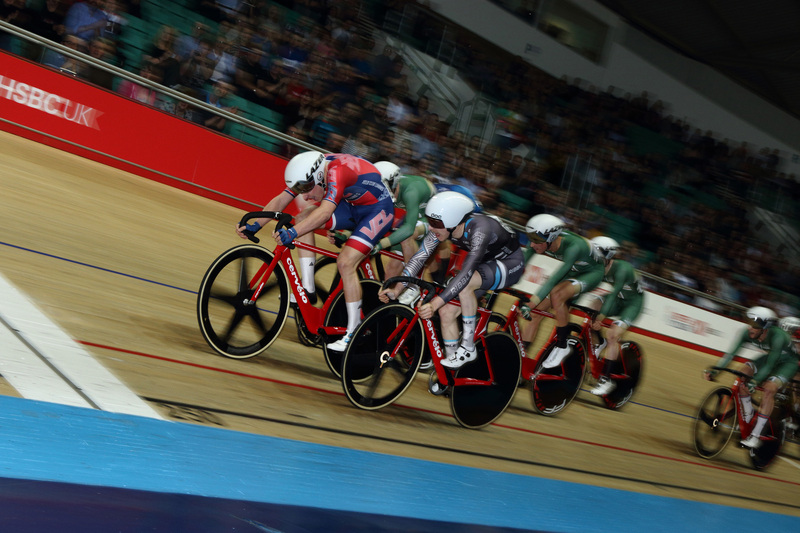 The Para-cycling 200m flying start provided the third champion in Jody Cundy OBE edging out Jon Allan-Butterworth by 300s with a 10.393 ahead of last years title holder Blaine Hunt. 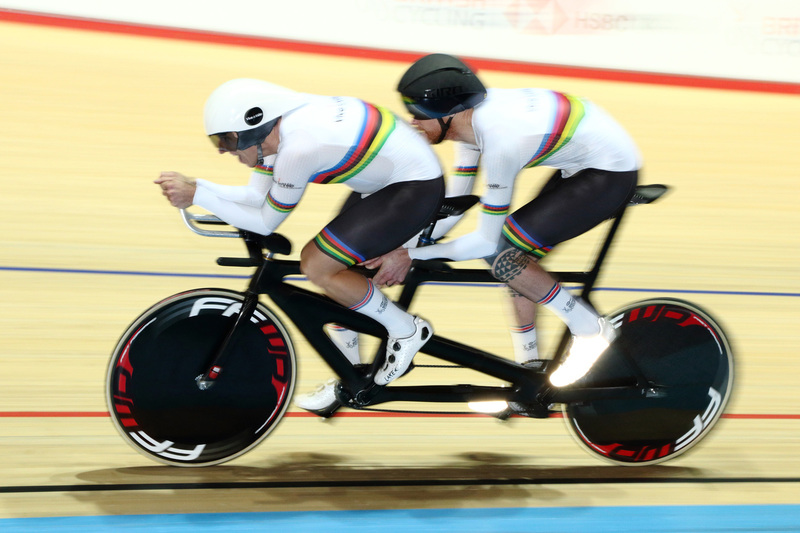 Neil Fachie & Matt Rotherham got the better of Thornhill & Scott in the Para-cycling BVI Flying 200m TT by the narrowest of margins with a 9.759 to claim gold. 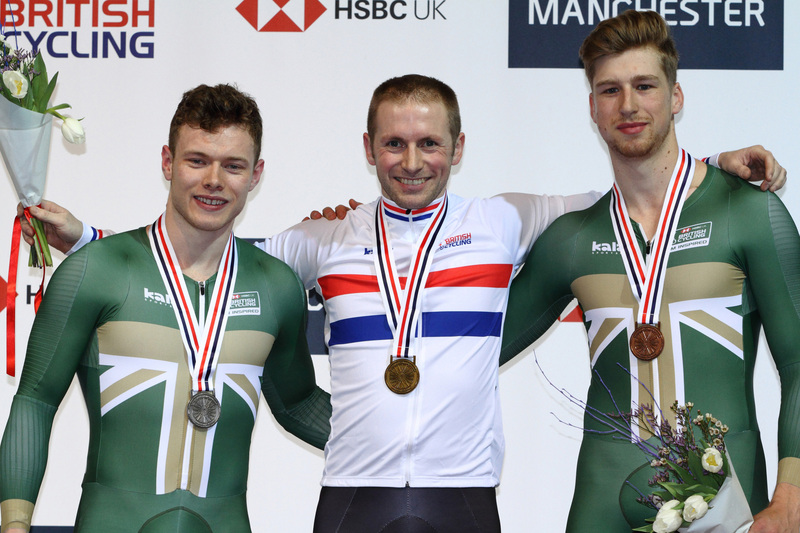 With Bronze going to James Ball and Peter Mitchell (pilot) (Black Line). 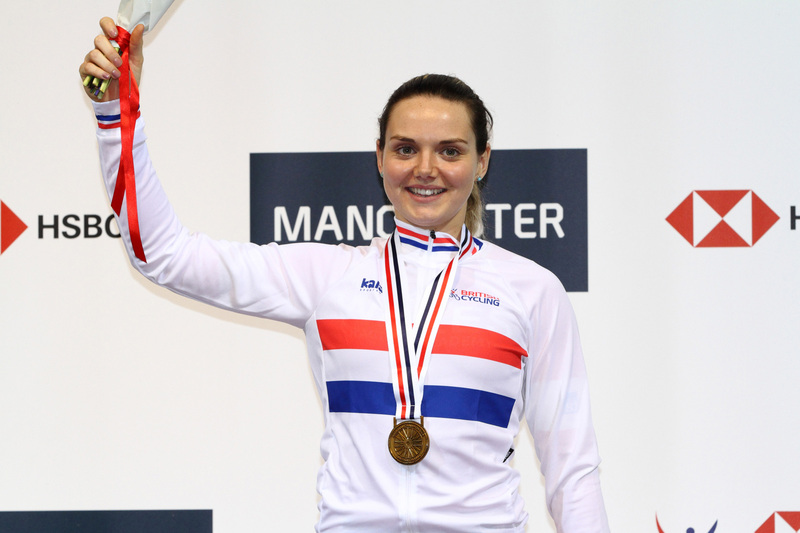 A long day in the saddle for Scotland’s Katie Archibald riding both Pursuit & Sprint events didn’t stop her retaining her 3000m IP title whilst record breaking brother John fended off team-mate Dan Bigham for the 4000m IP title catching him in 3.28.028. 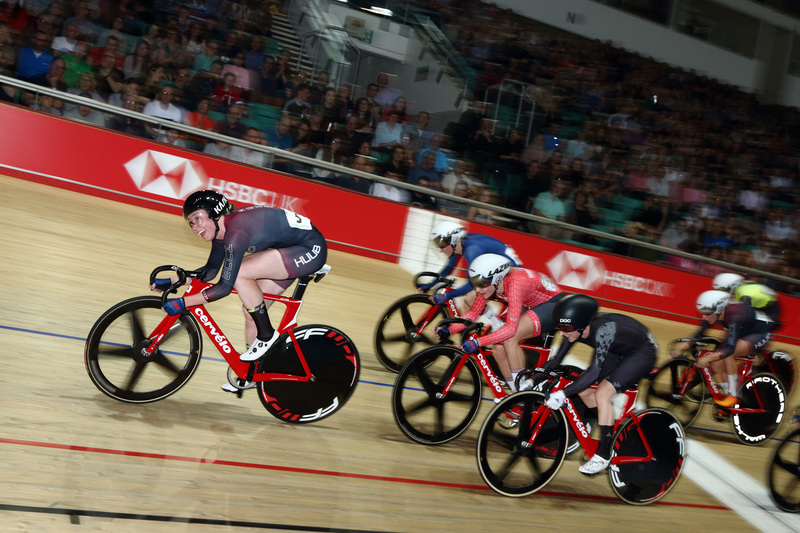 A three-part race in the Women’s Sprint event saw Capewell take the gold ahead of Crampton and a second medal for Archibald with the bronze riding against Blaine Ridge-Davis for the conclusion of day 1. 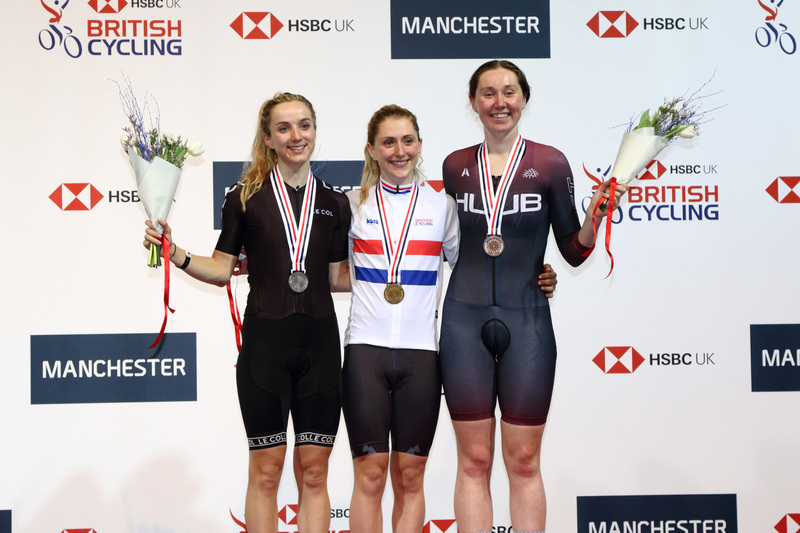 Laura Kenny returned to the Track Champs this year to claim Gold in the Women’s Scratch race squeezed between Elinor Barker for silver and a third medal for Katie Archibald for bronze. 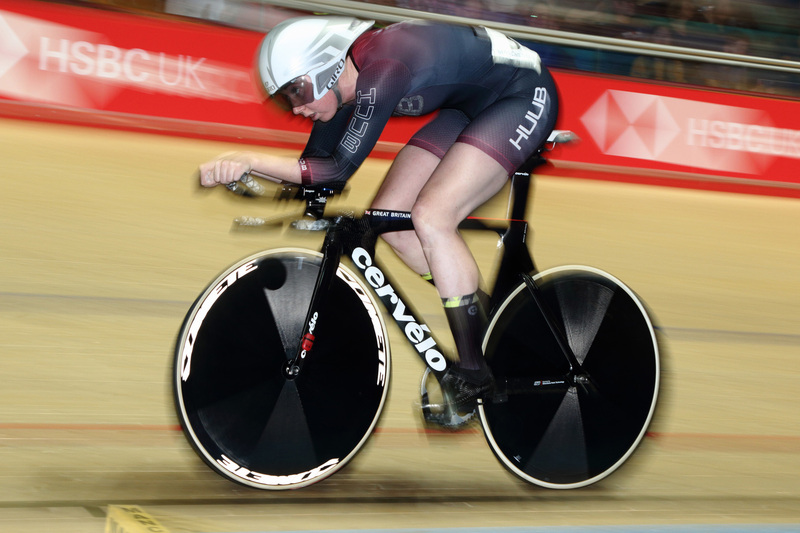 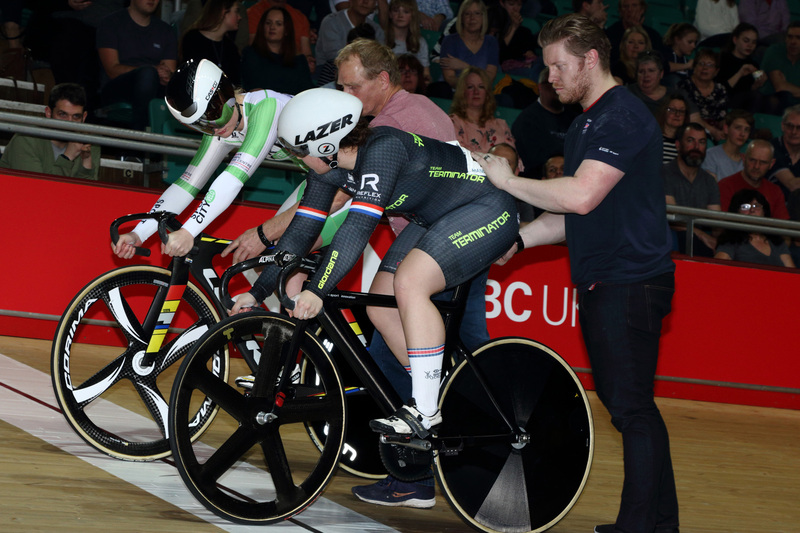 Jenny Holl – Team Breeze held a ¾ lap advantage at one point, not quite able to gain the lap before being drawn back in the closing stages of the Women’s Scratch race. 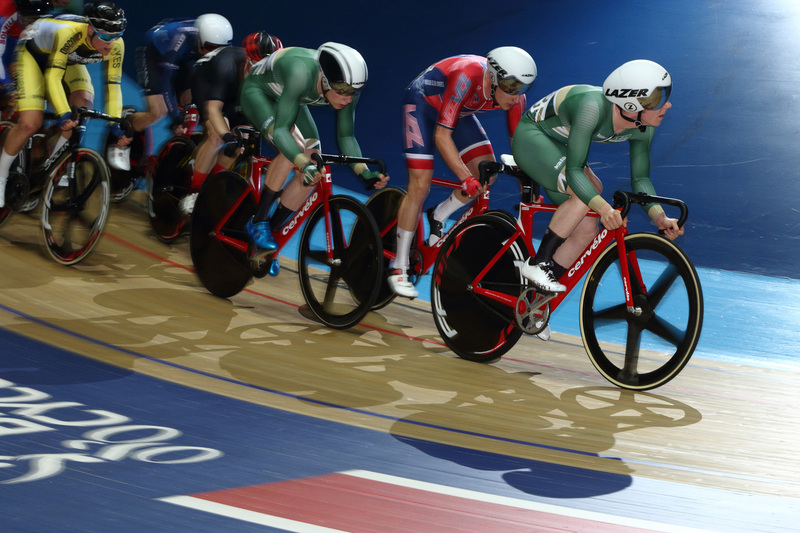 Archibald held the advantage on the run to the bell lap but Kenny in the middle of Archibald, bronze & Barker, silver had a half-wheel out front for gold. 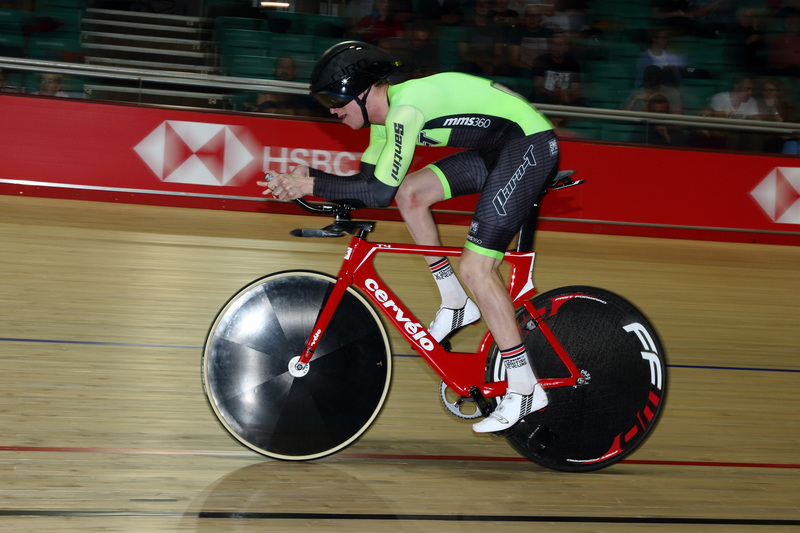 Kenny’s partner Jason didn’t fair so well in the Sprint finishing with silver behind an impressive Joe Truman who had earlier set the quickest qualifying time of 9.986, Kenny the only other sub 10 of the Championships. 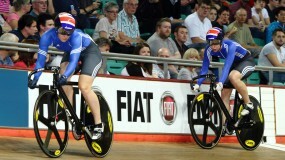 A tough set of rounds between the play-offs saw Hamish Turnbull taking the bronze ahead of ex Rugby player Alex Spratt. 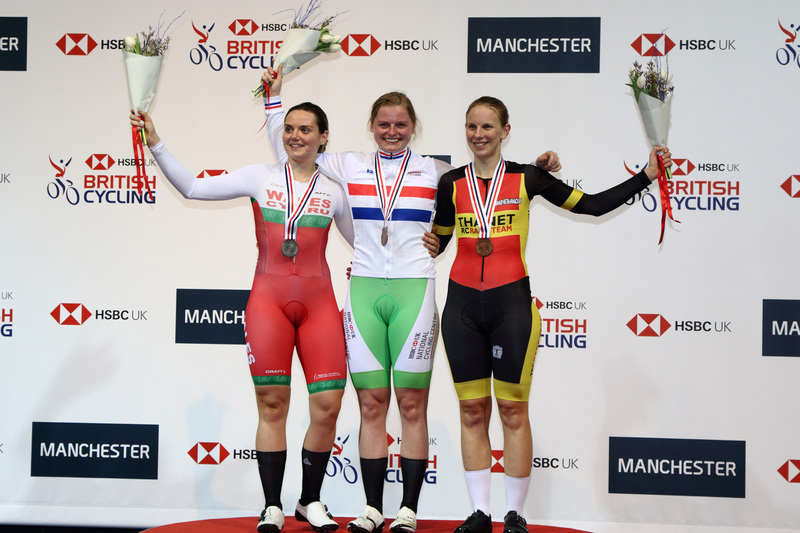 Jess Crampton – Sportcity Velo retained her Keirin title ahead of Ellie Coster – Team Wales & Joanna Smith – Thanet RC RT. 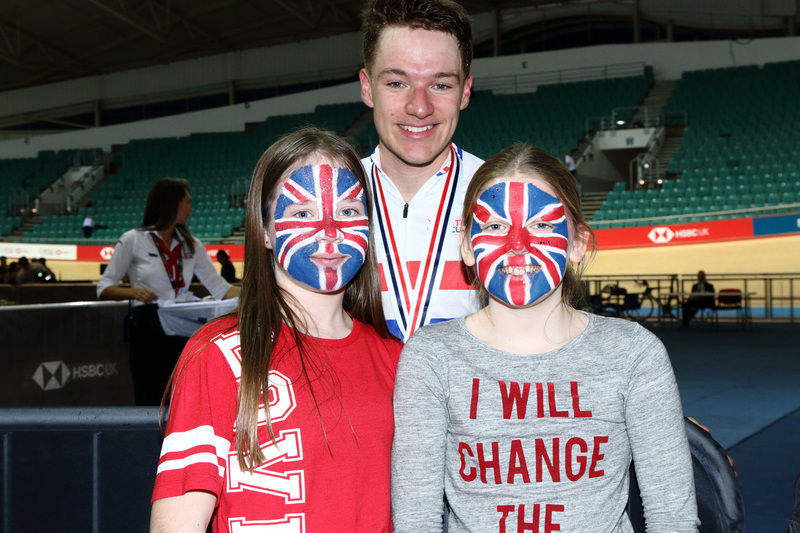 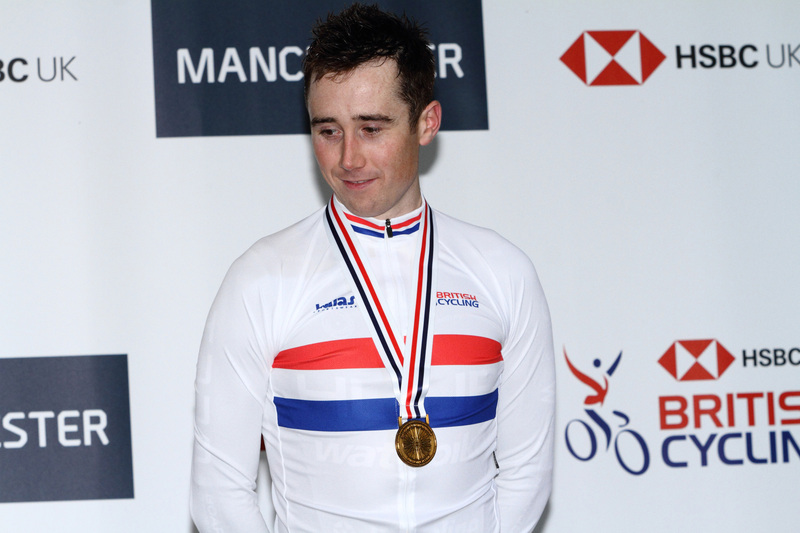 Local lad, Matt Rotherham rode to gold in the Kilo much to the delight of the home crowd. 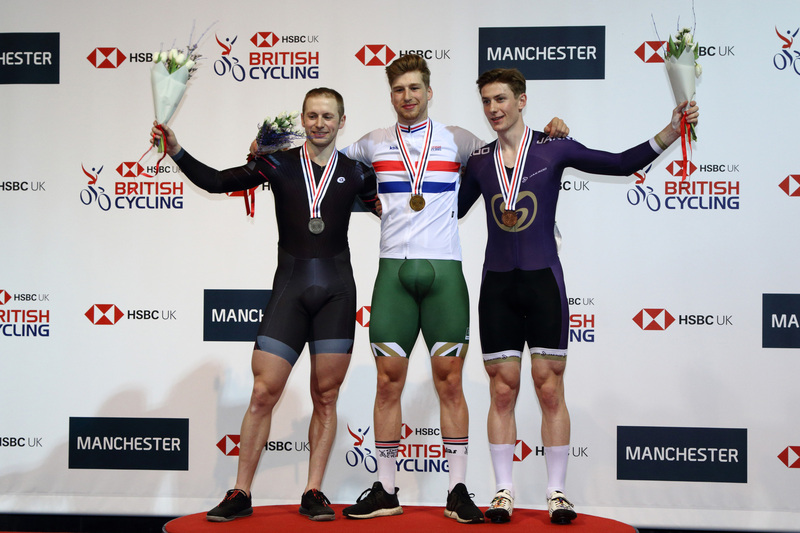 The medallists were miles ahead of the competition with Sprinter Rotherham posting a 1.01.559 and Endurance team-mates Jon Wale a 1.01.841 in silver edging out Dan Bigham a 1.01.934 for bronze. 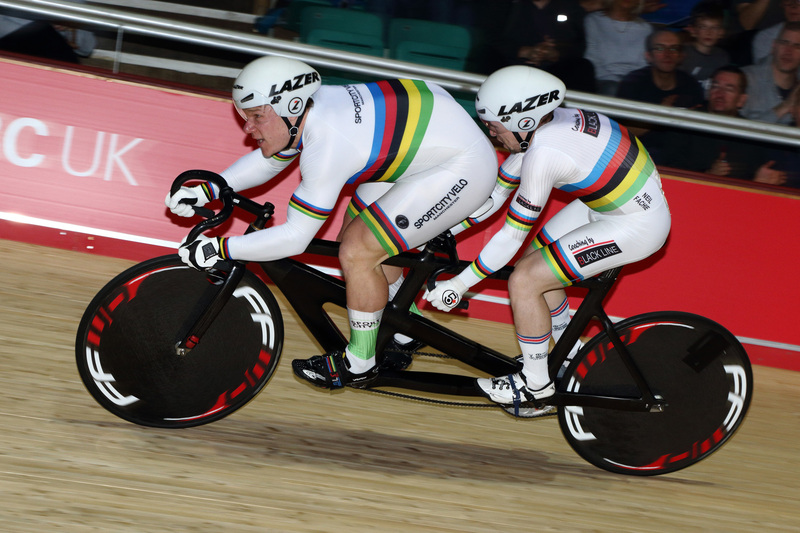 Para-cycling World Champions Steve Bate MBE & Adam Duggleby beat factored time & last years holders of Lora Fachie & Corrine Hall to claim gold in the mixed BVI 3000/ 4000m Pursuit . 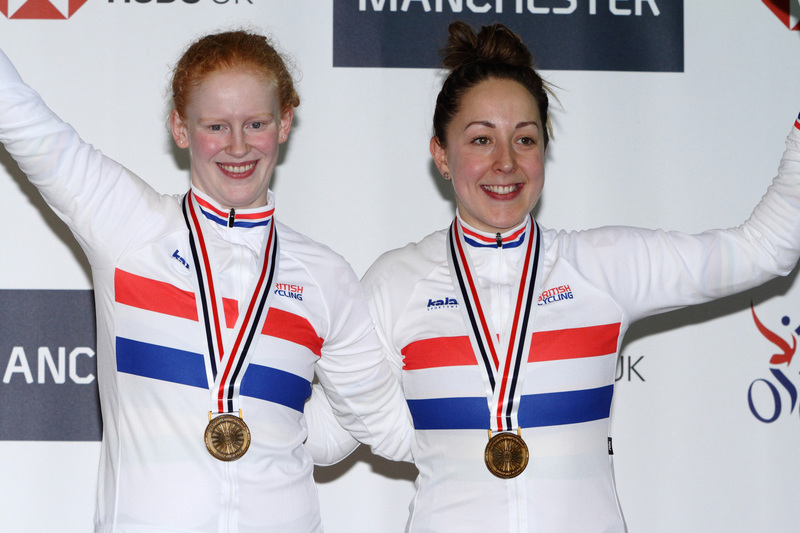 Bronze went to Laura Cox & Laura Clode. 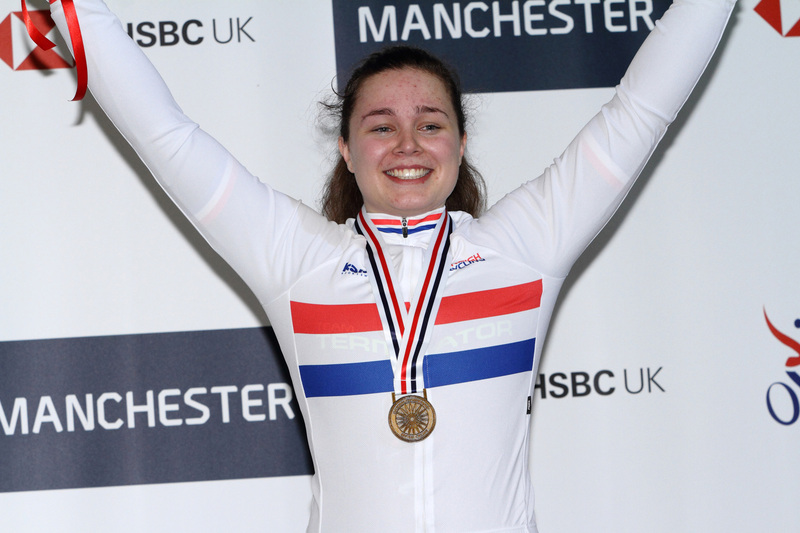 Louise Rolfe retained his C1-5 Para-cycling IP with Fin Graham taking silver & Matt Robertson bronze. 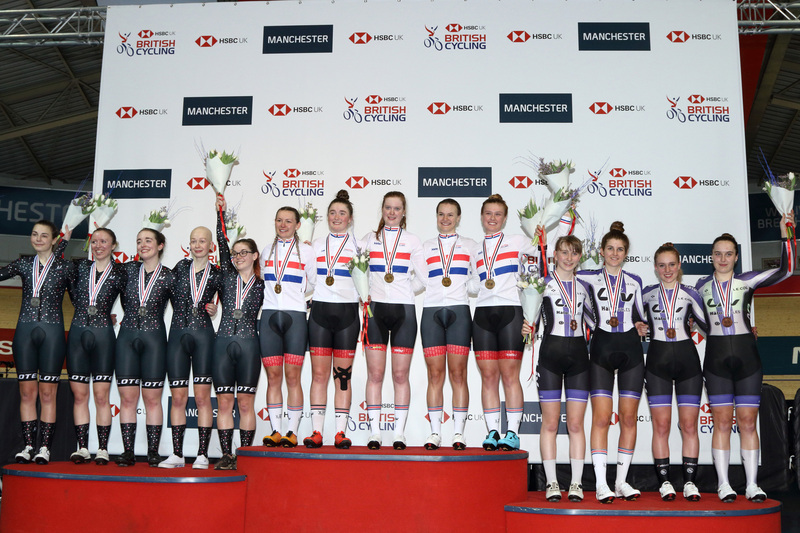 Back to defend their title Team Breeze’s – Anna Docherty, Jenny Holl, Becky Raybould, Jessica Roberts & Ellie Russell caught Team Velotec’s – Jennifer Holden, Sophie Lankford, Anna Morris, Molly Patch & April Tacey in 3.14.709 with the bronze going to LIV CC’s – Ella Barnwell, Eluned King, Amelia Sharpe & Elena Smith. 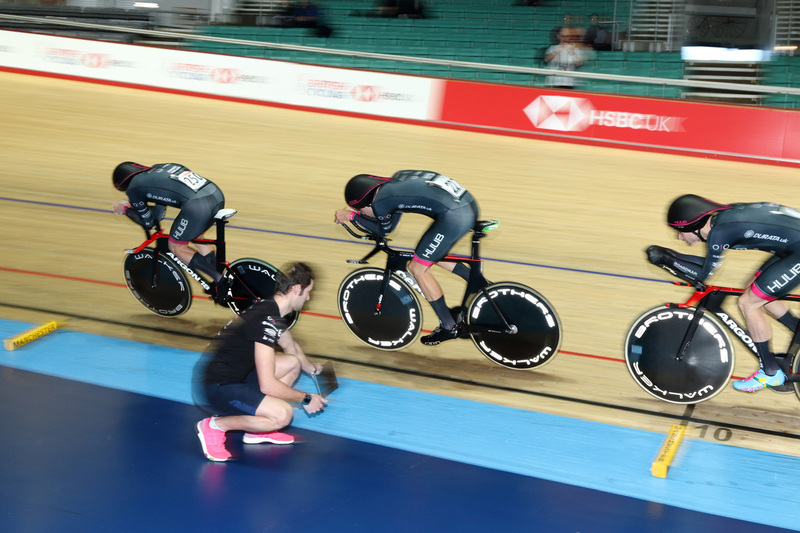 Closing the 2nd days competition Rhys Britton’s – Team Inspired lap gain was enough to win the Points Race finishing ahead of the trio of riders that joined him mid race in taking the lap. 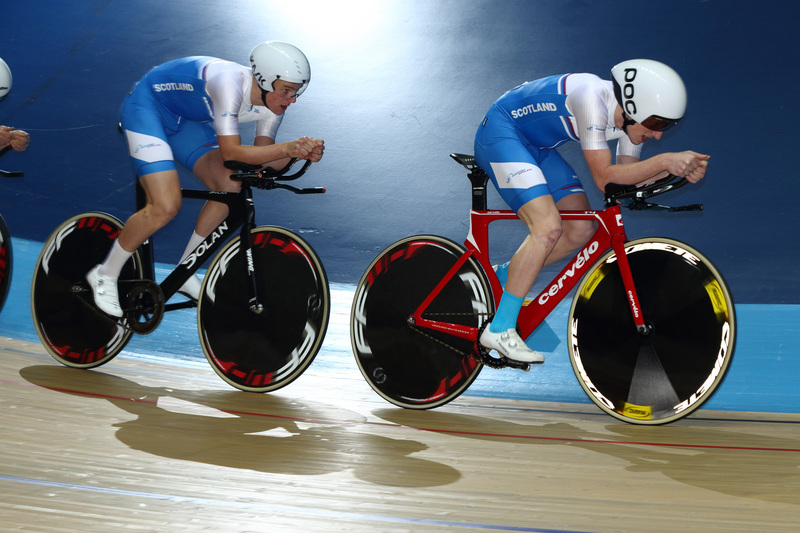 Matt Walls – Team Inspired and Kyle Gordon – RT23 bronze. 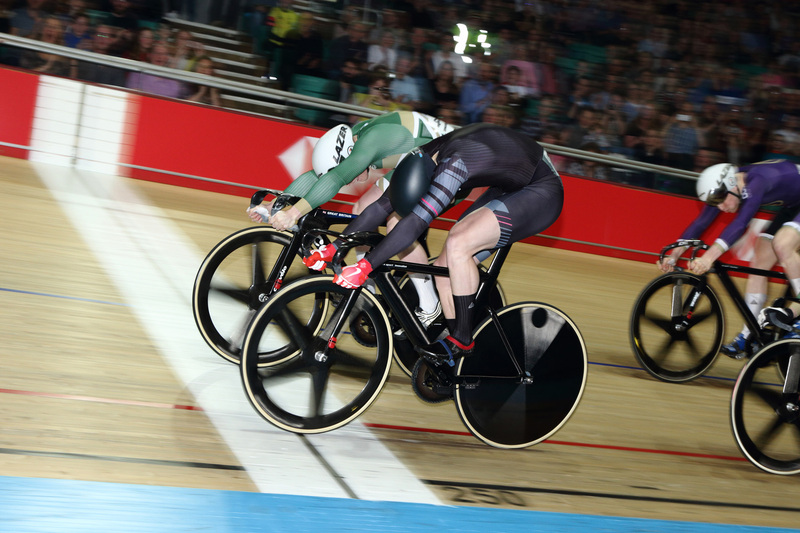 The final sprint went to Leo Haytor – VC Londres. 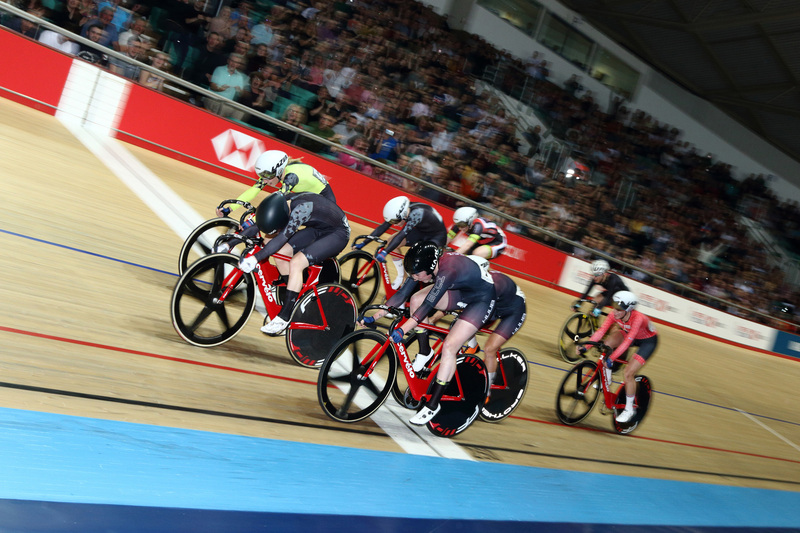 Jason Kenny CBE took the long route to Keirin Gold pulling up a Lap early in the opening heats to go through the repechage, beating Jack Carlin by a whisker in a thrilling finish to the 2019 Champs. 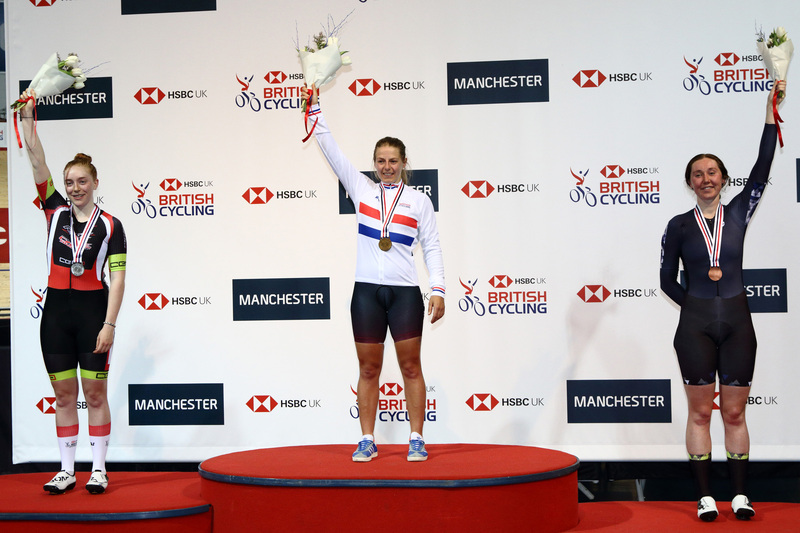 Neah Evans – Team HUUB claimed her first National Title having featured in many finals these past couple of years. 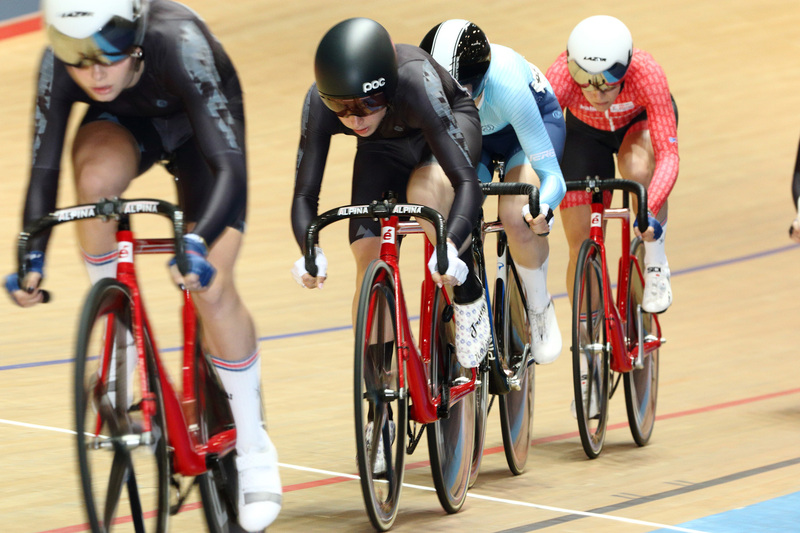 Taking a bold move mid race went off the front in the Women’s Points race to gain the lap – the only one of the race. 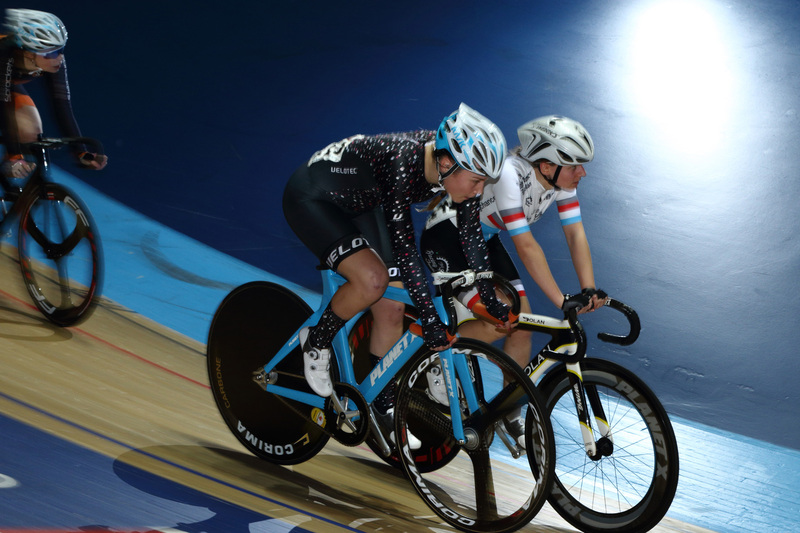 Archibald tried a similar move but ran out of steam about ¾ ‘s a lap up as the pace slowly increased but had enough to take bronze behind Emily Nelson – RST/ Cycle Division RT. 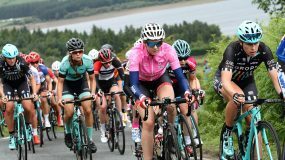 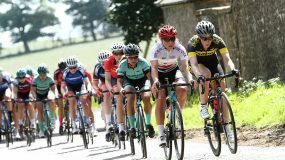 Both Jenny Holl & Rhona Callander – Team Breeze tried their luck mid race to gain a lap but where reeled back into the fold. 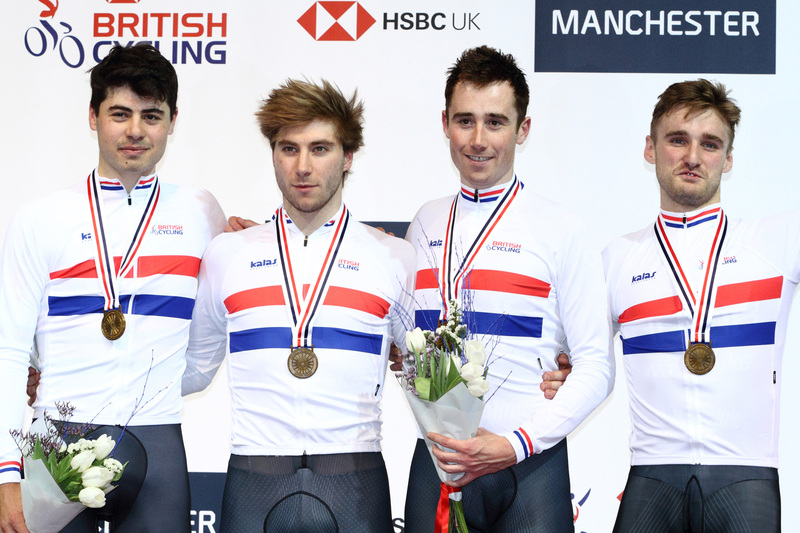 HUUB-Wattbike Test Team claimed Gold in the Team Pursuit catching Team Inspired with in 3.32.666 for the silver medal. 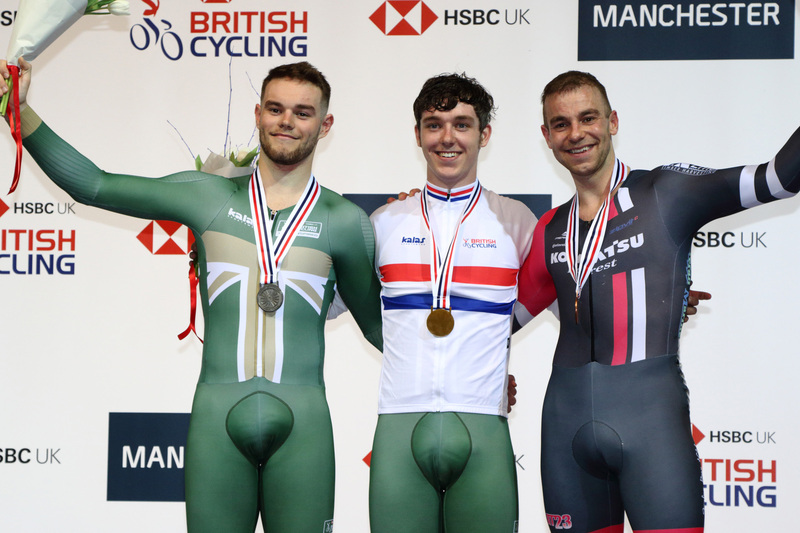 The bronze medal looked like going either way through out the race with the Wales Racing Academy stealing back the medal in the dying couple of laps ahead of the University of Derby. 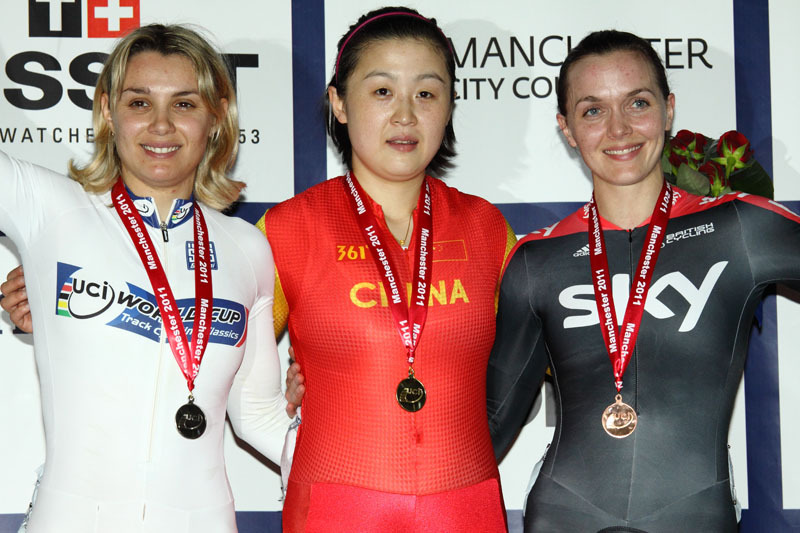 Another 1st National Jersey went to ex BMX rider Shanaze Reade – North West in the Women’s Team Sprint along the Blaine Ridge-Davis. 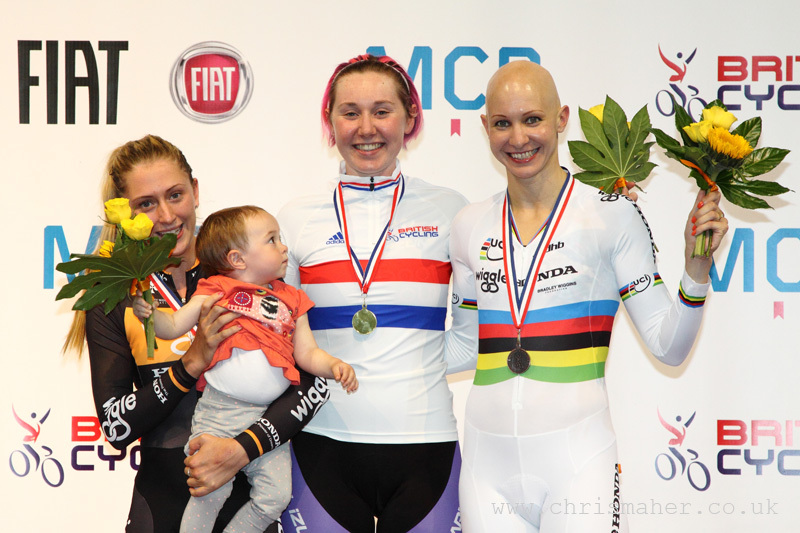 Silver went to Sophie Capewell & Nilly Tanner – Team Terminator & bronze to Lusia Steel & Victoria Williamson – Black Line. 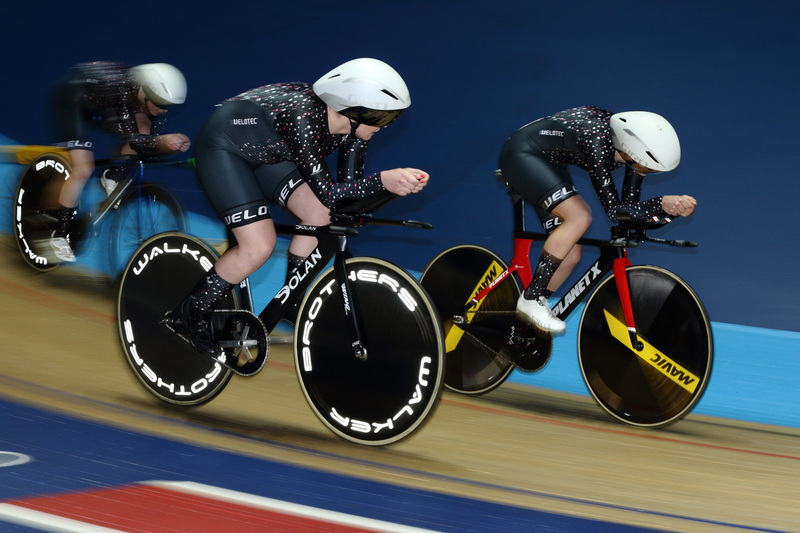 Williamson rode her first international race on the Friday in the Hong Kong World Cup before flying back to the UK for the Nats after returning to the track from a serious injury recently. 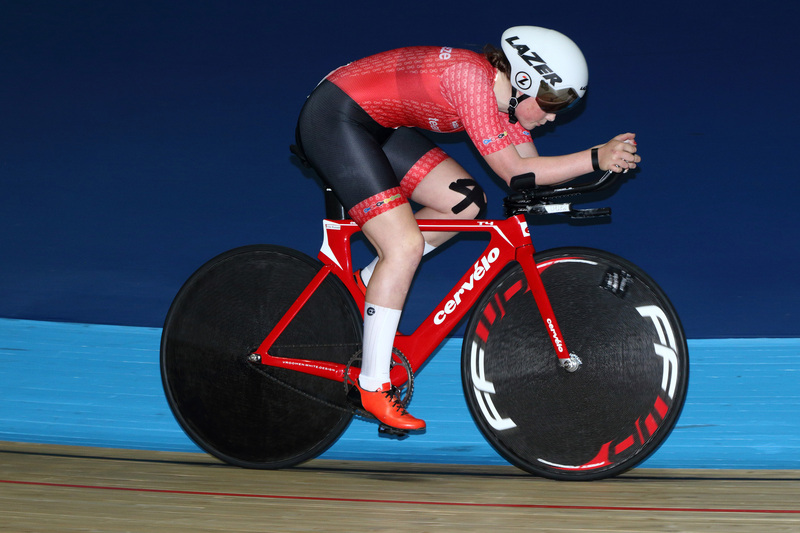 Hoping for a PB, Ellie Coster – Team Wales took the 500m Time Trial with a 35.311 ahead of Crampton a 35.509 & Lucy Grant – Peebles CC a 35.749. 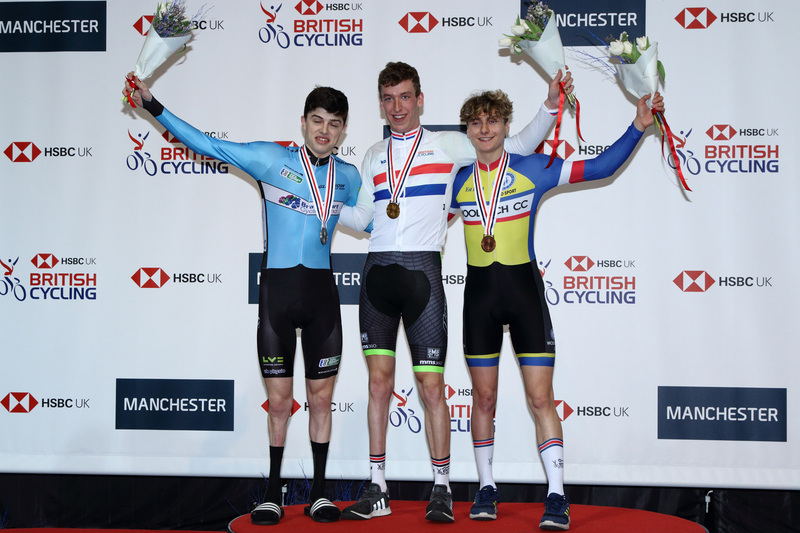 Ethan Hayter – VC Londres closed the Championships in style with a gold in the Scratch race just ahead of Scotland’s Mark Stewart – Peebles Pro Cycling and Will Tidball – Team Inspired’s bronze.